Theater and Dance Critic of the Chicago Sun-Times, Hedy Weiss reviews a new production of "Avenue Q" – plus the latest from Lookingglass Theatre and more. The Mercury Theater looks to mix adult humor and hand puppets in its production of Avenue Q. This comedy tells the story of a college grad named Princeton as he tries to navigate through a new job, new environment and more all while juggling a dating life. 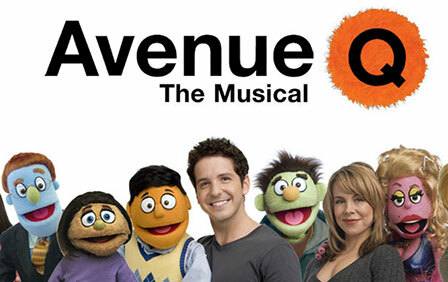 Avenue Q will be performed April 23 through June 29. Tickets cost between $25 and $65. History buffs will enjoy the story of Charles Darwin retold. The Looking Glass Theatre looks to take its audience on a journey through faith and science in between the space of a love story between Darwin and his wife Emma. The two find an unexpected and unlikely romance among their fiercely independent and divided ideologies. In the Garden runs for 2 hours and 15 minutes with one intermission and will be performed through June 15. Tickets cost between $45 and $65. Juno is a musical based on the 1924 classic Irish play Juno and the Paycock by Sean O'Casey. Originally produced on Broadway in 1959, Juno has never been produced in Chicago, until now. The story is a humorous and heartbreaking chronicle of the Boyle family, a destitute household struggling under the strain of the Irish Civil War in 1922. Juno Boyle holds her family together in the face of war, betrayal, and her husband Jack's drinking problem. The play runs for 2 hours and 15 minutes with one intermission and will be performed through June 27. Tickets cost between $35 and $45. Celebrate the legacy of Shakespeare by watching the Joffrey Ballet’s production of Romeo & Juliet. Relive the classic tale set to the sights of Italy in this contemporary rendition. Guests can also look forward to bravura dancing, a dramatic score and much more. The show runs through Sunday, May 11. Tickets cost between $40 and $100. Watch Hedy Weiss review "the Dance of Death" and "Ruined" in this web extra video review.